New Delhi: Suzuki Motor Corp. plans to set up a second diesel engine plant in India if the government decides against imposing a punitive tax on diesel-run cars in the national budget, aimed at discouraging car buyers from using the subsidized fuel. The share of diesel cars sold in India gained six percentage points to 23% in the past eight months of the current fiscal as the difference between the prices of petrol and diesel widened to as much as Rs30 a litre. Car buyers are choosing diesel-run vehicles even though they are more expensive as petrol prices rose to Rs65.65 a litre in Delhi compared with Rs40.41 for a litre of diesel. A tax on diesel cars may help the government arrest the growth in diesel run cars, and thereby reduce its spending on fuel subsidies. “Logically, it seems it could happen. The government is cash-strapped at the moment and there may not be much political opposition to this either," said Nikhil Deshpande, an analyst at Pinc Research, a Mumbai-based brokerage. “But from business perspective, there needs to be a clarity on this. This is holding up a lot of investments." The government is likely to devise a mechanism in the budget for the year starting 1 April that will bar car buyers from taking advantage of the subsidies given on diesel, according to media reports. This could be done by raising excise duty on diesel cars, increasing the cost of such automobiles. Financial newspaper The Hindu Business Line on 20 November reported that the government is likely to hike the excise duty on diesel cars in the next budget. To talk about investments in a diesel plant will be too premature at this point in time, Bhargava said. “First, we will have to figure out about the kind of expansion we want, and then if there is enough land," said Bhargava. “If not, then we will have to look for an alternate site." Japan’s Suzuki Motor owns 54% in Maruti Suzuki and SPIL is a 70:30 joint venture between Suzuki Motor and Maruti Suzuki. 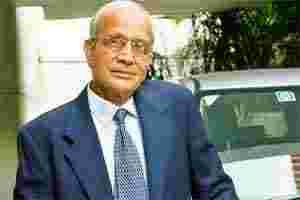 Bhargava said that the company’s plan to source diesel engines from Fiat India is not a permanent solution. “Its a time-gap arrangement with Fiat. Neither can they commit to be a permanent supplier to us and nor will we depend on them for that," Bhargava said. “If demand for Tata and Fiat’s cars go up in the future, Fiat powertrain’s immediate priority will be them. So, as we go along, we will have to look for other options." Fiat India is an equal joint venture between Fiat SpA and Tata Motors Ltd and can produce as many as 300,000 diesel and petrol engines a year. Fiat India also supplies diesel engines to Tata Motors for its Indica Vista hatchback and Indigo sedans. It also uses the same engine for its Grande Punto hatchback and Linea sedan. Maruti Suzuki has four models—Ritz, Swift, Dzire and SX4—that run on diesel as well as petrol. Of these models, diesel versions accounted for 80% of sales in the current fiscal. Its newly introduced Swift’s diesel version has a waiting period of 6-8 months. SPIL currently produces 270,000 diesel engine units a year and is increasing its capacity by at least 30,000 units. Maruti gets diesel engine and transmission from SPIL. Besides, if the company reaches an agreement with Fiat, it will get 4,500 diesel engines a month. Another top official in the supply chain of the company, who did not want to be named, said the matter has been discussed at length among the top managers. “People have different opinions. Some want the expansion to happen in Manesar while others are in the favour of Gurgaon in order to derisk the business," the official said. The matter will be taken up at a board meeting, which is scheduled to happen on 27 January, the official said. Bhargava, however, said that the agenda for the board meeting has not been decided yet. “All said and done, everything depends upon government policy and clarity over fuel pricing." A top department of heavy industries official said while the department is not in favour of taxing diesel-run cars, there is immense pressure from some other ministries. “You will have to find a proper mechanism to tackle this issue. You can’t just increase taxes on diesel cars. That will create a separate set of problems," said the official, who declined to be identified. The Kirit Parikh committee had recommended a differential price mechanism—one price without subsidy for a set of consumers, and a subsidized one for farmers, truck owners and industry. Implementation of such a regime may be very difficult “as diesel caters to a varied set of buyers from farmers to truckers," said Abdul Majeed, auto practice leader at PricewaterhouseCoopers. “But even if the government decides to raise excise duty on diesel cars, I think the demand for such cars will stay as in the longer-run cost of ownership of a diesel car will be lesser than a petrol car."